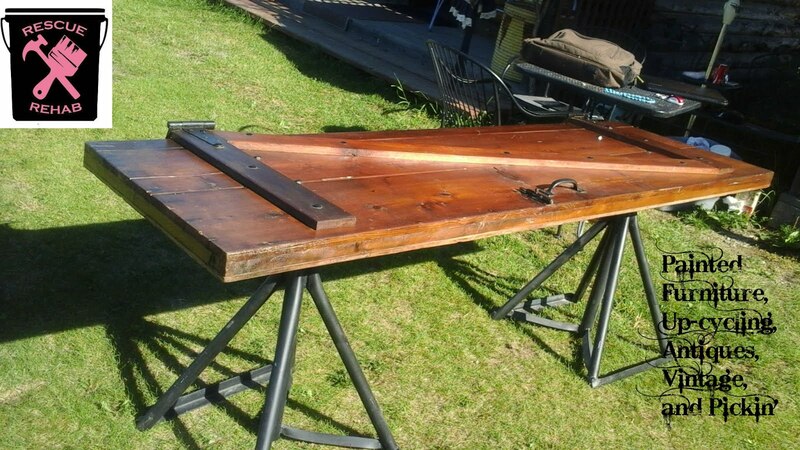 RESCUE REHAB: Straight Outta Cali! Sorry, couldn't resist the pop-culture reference! Check what's playing at your local theatre if you don't understand, lol. 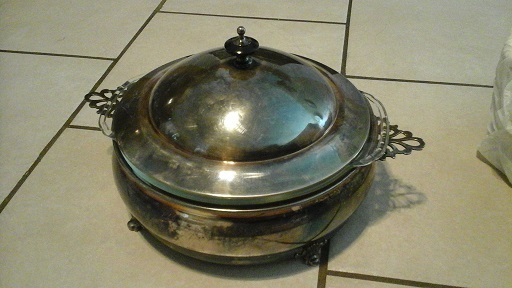 I posted my finds on my Facebook page, but wanted to post my finds here also. Next week I will be doing another post because I went picking the day I left for California. I have not been home to unpack and catalog those finds yet. These pieces will all be part of the Vintage Rental business. 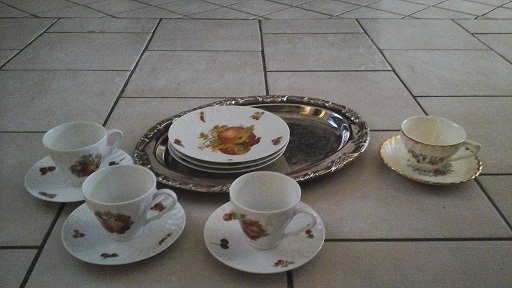 Chaffing dish, silver plate tray and tea set, a lovely Bavarian tea and dessert set...which is now a set for two rather than three, sigh. 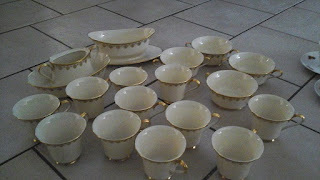 The china in the bottom picture is Lenox Clarion, beautiful creamy color with gold, I will be looking for more Lenox in cream and gold for mix and match. 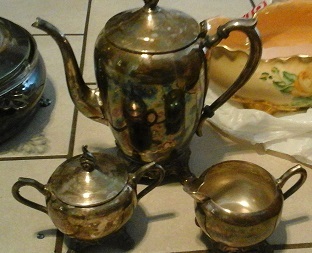 Sadly, the gravy boat in the back(which is listed on Replacements for a whopping $179) did not make the trip intact. I intend to put in a claim. All of this was wrapped in paper, inside a box, wrapped in a huge comforter, and in a suit case. When I asked the man at the counter if marking things fragile would just guarantee that they would toss it harder, he replied yes, probably, if they could even read. O.M.G. 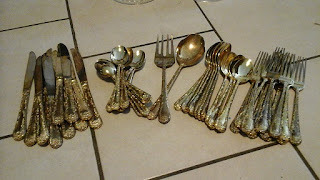 This nearly complete set of William Rogers gold plated flatware is so elegant looking when paired with the Lenox china. 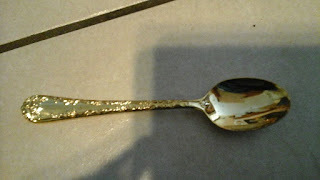 I am on the fence as to whether to keep the children's silver for the business or sell them. 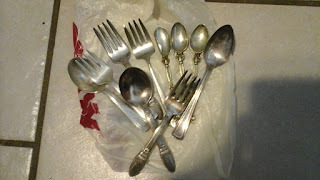 A few of them are sterling, the three smallest spoons were made in Italy and I believe are for salt. I seem to have hit my limit for pictures on my post. I have pictures over on my Facebook page of the 2 oil lamps and the Bavarian hand painted bowl that will be at the cabin tomorrow. Oh, wow! I want to go to an event featuring your treasures! Bad airline for breakage. Thanks Donna, yeah, I packed the best I could but prepared for the worst....you have to show receipts so I won't even come close to the value, but I intend to enclose a screen shot from Replacements. I am having fun collecting these things, and I think this is the right time to do it, as prices are down. Thanks Tammy, I feel the same way about the silver plate! I think I love these things because the world has gotten so chaotic, they remind us of a gentler time.